Mark's experience in seafood production is literally 'egg to plate'. 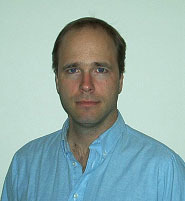 During his Masters degree at Simon Fraser University in British Columbia he studied shellfish breeding techniques and high value species marketing. His work experience has given him additional skills in grow-out, nutrition, pathology, harvest technology, processing plant design and process design as well as marketing fish and shellfish. Mark can best help in the start-up or streamlining stages of an operation. Due to his multi-disciplinary background he can help reduce risk exposures, identify cost savings in systems and improvements in product offerings. Mark began studying aquaculture in 1987, graduated from his masters program in 1993 and began his consulting firm 'Watermark Consulting' that same year.